The McAuliffe Group has made three new appointments to its specialist remediation business, GeoStream UK. Vickie Daniels has joined the team as senior remediation project manager and is joined by Matthew Handley, a remediation engineer. The GeoStream team also welcomes civil engineering graduate, Emma Cooper. Joining the business from Hydrock Contracting, Vickie has amassed over 12 years’ experience in remediation and geo-environmental consultancy, having worked for some of the UK’s largest stakeholders. She will be responsible for managing GeoStream’s remediation projects and key client accounts in the North West, ensuring efficient project delivery within clients’ financial and time constraints. Matthew will be based at McAuliffe’s southern office in Brentford, managing the on-site delivery and client liaison while assisting with technical bid appraisals. Joining the team from Coleman Remediation Services, and with experience at AECOM, Matthew’s expertise will boost GeoStream’s offering in the South. Emma has recently graduated from the University of Nottingham with an MEng in Civil Engineering with French. From Bowdon, a stone’s throw from the Hale office, Emma will be assisting the engineering and surveying department. 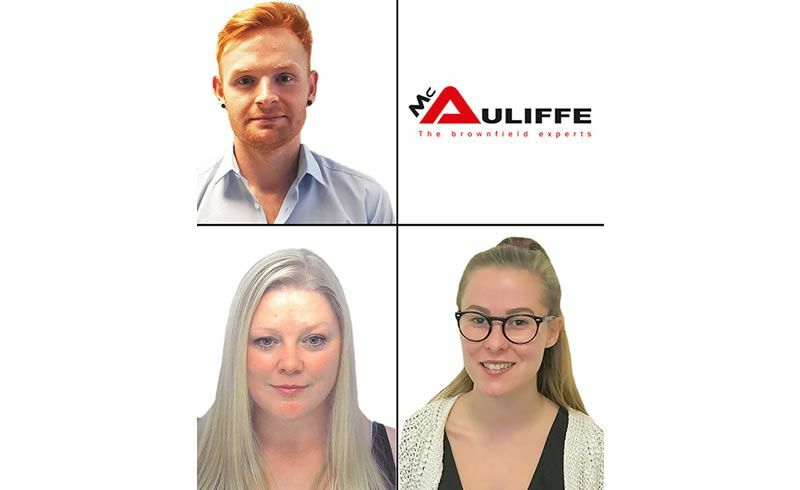 John McAuliffe, group managing director of the McAuliffe Group, said: “We’re incredibly proud to welcome Vickie, Matt and Emma to the GeoStream team. For more information on GeoStream's remediation services, please contact us here.